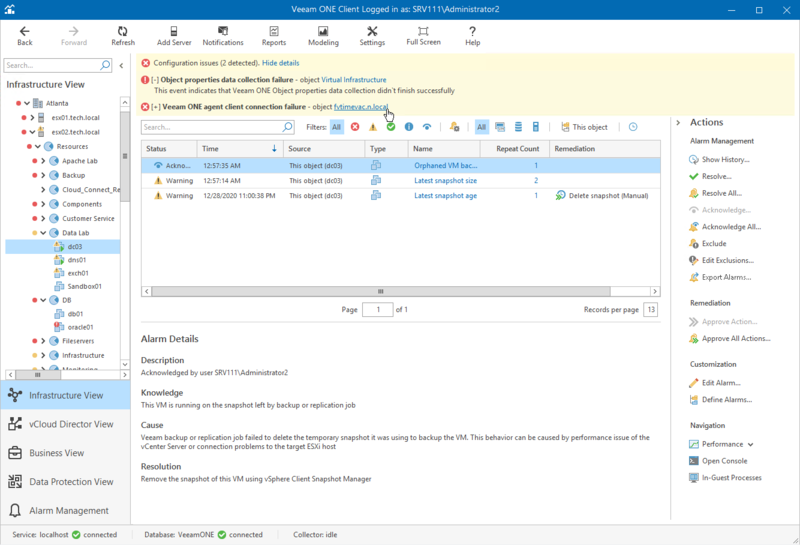 For details, see Accessing Veeam ONE Monitor. In the Configuration issues pane, click the Show details link. Click the object name to drill down to the list of alarms for the selected object.